Do yourselves a favour and check the link. 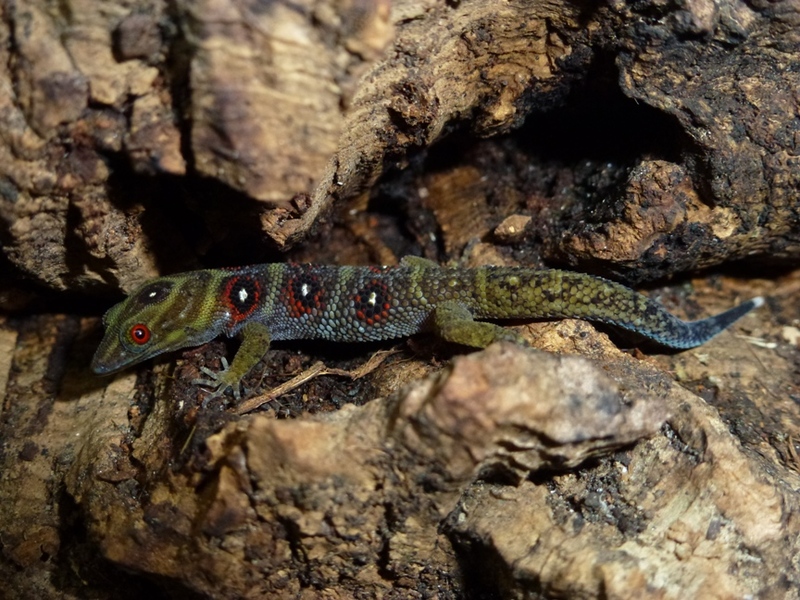 Lots of photos of other Gonatodes sp. Awesome genus with beautiful species! They are gorgeous, never heard of this species before. Anyone else wanting to give it a shot can go ahead. I must say I have learnt so much from ""Guess The Reptile". Thanks a lot guys for that!!! Although the activity on the forum is relatively low, I thought it could be fun to give GTR a go again. This species of reptile was thought extinct due to military activity on it's island of residence in the 1950's, but after finding a similar species on the nearby continent and ferociously arguing about whether it is the same species that became extinct (turns out it was the same species), the species was rediscovered on the island in 2006 ( 50 years later) as well as a couple of surrounding islands, proving it's classification as "extinct" was premature and unfounded. Could not resist coming back for this thread. Aprasia rostrata - The Atomic Worm lizard. Haha welcome back Primogen and yes, you nailed it. The Atomic Worm Lizard occurred on Hermite Island off the Australian coast. In 1956 the British government conducted nuclear weapon testing on the island and this little lizard APPARENTLY became extinct. A similar species was discovered on mainland Australia and a debate ensued whether it is the same species or not. In 2006 the Atomic Worm Lizard was rediscovered on Hermite Island and subsequent surveys found the same Lizard on numerous islands in the vicinity. By the way, later mDNA testing did confirm that the population on the mainland is exactly the same species as all the insular populations.